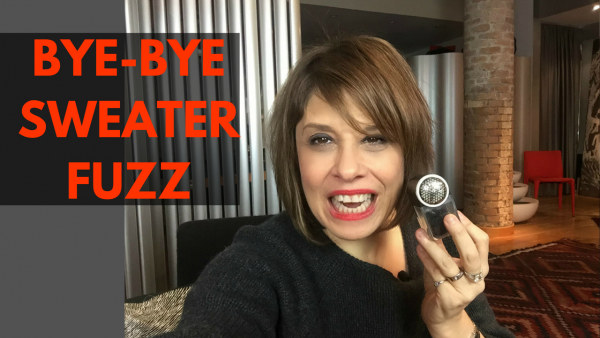 Here’s my best style hack to remove the unsightly fuzz from sweaters. I don’t know about you but sweater pilling drives me nuts! There are some wool and cashmere sweaters that no matter what, they accumulate those nasty fuzz balls called pilling under the arms are wherever there is friction from wear. Don’t worry, this sweater shaver hack really works!